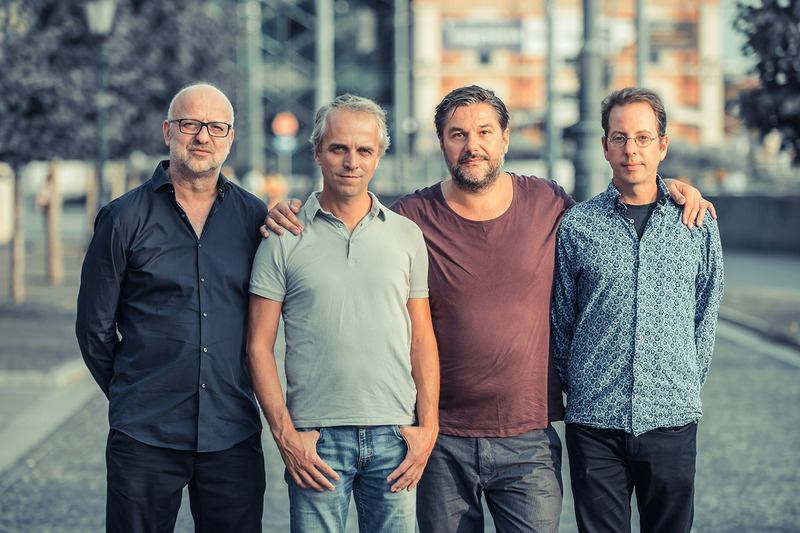 Mete Erker (bass clarinet, saxophone); Oene van Geel (violin, cajon); Anton Goudsmit (guitar); Jeroen van Vliet (piano). Put four headstrong improvisers together and you get arguments, right? Wrong, what you get is Estafest, one of the most exciting Dutch jazz acts around at the moment. Saxophonist Mete Erker, guitarist Anton Goudsmit, violinist Oene van Geel and pianist Jeroen van Vliet are among the most eccentric and most admired musicians in their home country. A fact that is supported by the fact that three of the four have won the prestigious Boy Edgar Prize. In Estafest they constantly challenge one another in an unusual lineup. They play their own compositions and, especially due to their unbridled drive to improvise, every concert is an explosion of creativity that you can also hear on their new album Bayachrimae. When Estafest plays there are no fixed patterns, no rules or genres. Audiences are swept up into a musical wonderland that only exists in the here and now.